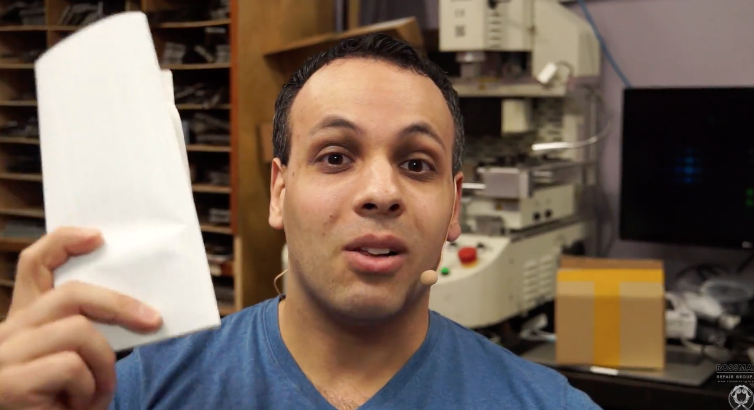 New York City’s Louis Rossmann, a computer repair technician who participated in CBC News investigation into Apple repair practices, shares how a recent battery order he placed was seized by U.S. Customs and Apple. In a video posted to YouTube, Rossmann claims just a “few days” after The National segment aired, a shipment of 20 MacBook batteries was seized (or “stolen from me” as he says) by U.S. Customs, apparently working with Apple. The 20 MacBook batteries were worth $1068 USD. Rossmann in his video, tells his audience and Apple he plans to fight this ruling. “Make no mistake. I am not an Apple customer I do not take to being ripped off nicely. I don’t care if I have to spend $50,000 in legal fees, to get back my $1000 worth of batteries. This is principle. Apple, you are not going to get away with this. And don’t think I don’t notice the timing on this stuff,” explains an angry Rossmann. Rossmann says Apple “won’t get away with this,” concluding he’s ready to fight back against the company and expose how it really treats its customers. The New York City repair technician is no stranger to Apple. Back in 2016, Rossmann said his repair videos on YouTube were under threat of being taken down, after a legal threat from Apple. The technician had posted videos sharing how to repair MacBooks at the board level, which also included details down to showing alleged schematics on camera, deemed a controversial move.